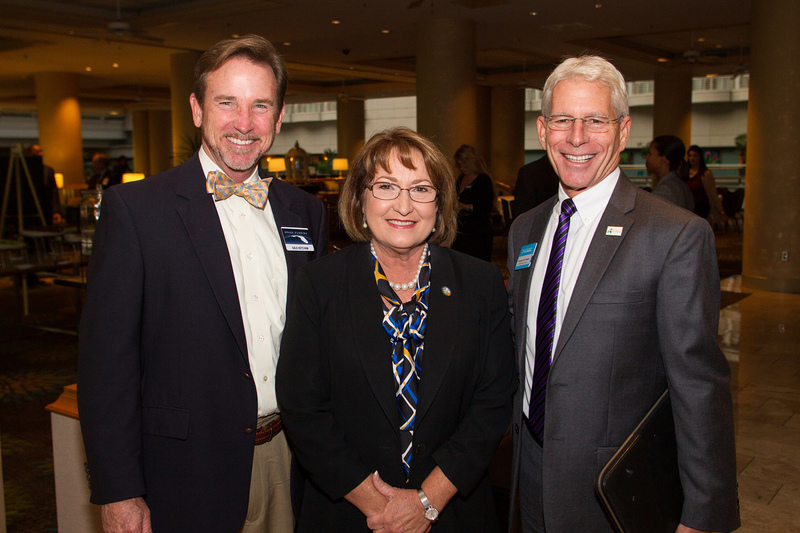 Orange County Mayor Teresa Jacobs spoke about the region’s prosperous and thriving economy at the quarterly Enterprise Florida, Inc. (EFI) Board of Directors meeting held at the Hyatt Regency Orlando International Airport on Oct. 22. Mayor Jacobs presented an overview of Orange County’s economic development successes, highlighting its diversified economy, the evolution of the region’s life sciences and the modeling, simulation and training (MS&T) cluster, historic tourism achievements, transformational arts and cultural venues, Central Florida’s branding initiative – “Orlando. You don’t know the half of it.,” and continual job growth and expansion. Mayor Jacobs also highlighted Orange County’s goal to enhance and improve the overall quality of life throughout the region, further encouraging companies to relocate their businesses Central Florida. Enterprise Florida is a public-private partnership between Florida’s business and government leaders and is the principal economic development organization for Florida. EFI’s mission is to expand and diversify the state’s economy through job creation. In pursuit of its mission, EFI works closely with a statewide network of economic development partners and is funded both by the State of Florida and by private-sector businesses. Gov. Rick Scott serves as Chairman of the Board and outlined his legislative priorities for Enterprise Florida for the upcoming session at the meeting. “I look forward to working with the Governor, legislature and other partners to make Florida the leader in economic development,” President & CEO of Enterprise Florida Bill Johnson said at the event. Enterprise Florida recruits new business to the state, and works to retain and expand existing industry and business. EFI is the state’s primary entity for trade and export development supporting more than 60,000 Florida exporting businesses. The organization also supports small and minority businesses through its capital programs. Another key aspect of EFI’s responsibilities is the marketing and promotion of Florida as a premier business destination. Sean Helton, the Vice President of Strategic Communications at EFI, explained why the organization is so important to Florida. EFI’s Board of Directors is comprised of appointed members and a diverse group of investors representing some of the nation’s most notable corporations. In addition, each member of the Florida Cabinet holds a position on the Board. To view more photos from the EFI Board of Directors Meeting, visit Mayor Jacobs’ Flickr.